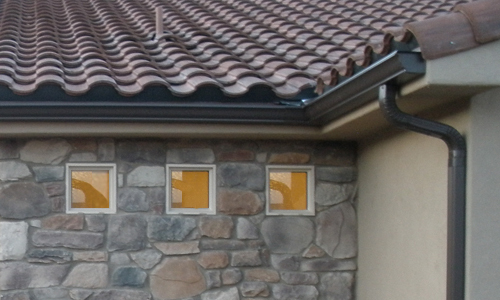 Rain gutters San Diego collect runoff water from the roof and direct them to the ground through downspouts. They help preserve the foundation and protect the house itself from the unwanted effects of water and moisture. This one is not only a space saver but a money saver too. You can mount gutters on the wall and they are perfect to hold those books, flowers, decors and even dishes and shoes. Unlike traditional shelves, these gutter shelves cost much less and could even be sourced from discarded gutters. If you have the skills and inclination to do things yourself, you can fashion chairs and tables from gutter sections by affixing them together to form different shapes of chairs and tables. Of course, you have to buy foam seats and wooden or glass top for the tables. With a little carpentry skills and tools, you can install a gutter trough in the middle of your picnic table for a unique outdoor entertainment. You can use the gutter trough as a cooler box by putting ice and drinks together, or a giant holder for ice cream. If you like gardening but do not have the space for a garden, you can use discarded rain gutters San Diego to grow plants, fruits and vegetables. They will not occupy precious real estate on the ground because you can just hang them on the wall, ceiling, balcony and windows. We all see this very-familiar sight – arrays of cables lying tangled under our tables from computers, printers, telephone lines, video players and game consoles. Affix a section of gutter on a horizontal line just underneath the table and place all the cables and wires there. If you have a spacious garden with plants everywhere, you can use gutter sections strategically arranged like steps to direct water from the roof towards where you need them to water your plants. Kids will love this. Place gutter sections of appropriate length on a ramp and use them as race tracks where your kids can see which cars travel farthest and the fastest. Cap both ends, put water and place the gutter sections on the table and you can use them for boat races.